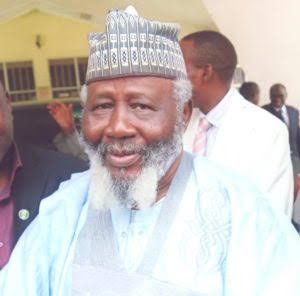 The Pioneer Chairman of Independence Corrupt Practice and other related offences Commission (ICPC) and former President of the Court of Appeal, Justice Mustapha Akanbi (CFR) is dead. Justice Akanbi who was also the first Wakiki of Ilorin died in the early hours of today at a private hospital in Ilorin after a brief illness at the age of 85 years. One of the children of late Mustapha Akanbi, Barrister Ahmed Akanbi, confirmed the passing away of the Ghana born incorruptible judge and a foremost anti graft crusader. The Janaza prayer, according to the spokesperson of the family, will take place today by 12 noon at the deseaced residence, House number 6, Agbadam street, off Ahmadu Bello way, G. R. A Ilorin, the Kwara State capital, while the 8 day Fidau will hold next week Sunday. Honourable Justice Akanbi was a founder of Mustapha Akanbi Foundation, Maasalam Islamic Foundation, Mustapha Akanbi Library and Resource Center, Nana Aishat Academy, and several others. Late Justice Mustapha Muhammed Adebayo Akanbi was born on Sunday, September 11th 1932 in Accra, Ghana and died on Sunday, June 3rd 2018. He will be sorely missed by the entire Ilorin Emirate, Kwara state, Nigeria, Africa and the world at large. May Allah grant him Aljanatul fridaus and give the family he left behind, the emirate, Kwara and Nigerians in general the fortitude to bear the loss.